Have you ever met anyone who seemed to live with Lady Luck? 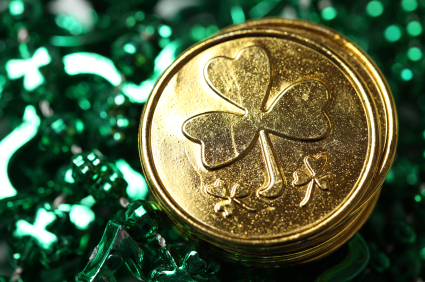 Truth is, there are plenty of things you can do to give yourself more luck, and none of them involve rabbit’s feet or voodoo. Learn to incorporate the following things in your life and you might find that luck becomes as natural as breath. Isolated, few opportunities will fall your way. New jobs, fresh fortune and random strokes of great luck are often the simple result of being plugged into the right network at the right time. Make it a habit of trading contact information with everyone you meet, then touching base every so often. Keep your exchanges friendly, natural, and helpful at all times. Multiply the people that know who you are and what you do, and you will multiply life’s ample opportunities. Mishap and misfortune happen to everyone. You WILL always have setbacks, but it’s important to remember you can’t live in denial. You must actively shift your perspective to a more positive outlook and keep searching for the hidden opportunities that exist in every situation. Many people are resistant to re-framing their life view because they don’t think it’s “realistic” to look for a positive way to view negative situations, yet even the Great Depression saw the steady rise of many “lucky” millionaires. Lucky people understand that there might not be any way of changing the past, but they can always change their minds and see life in a way that allows them to move forward rather than wallow in place. Do you know anyone who sits on the couch or surfs the Net all the live long day with something to show for it by the time the sun sets? The more you participate in life, the more great luck will leap your way. The more active you are, the more opportunities you will have to find yourself in the right place and right time. Instead of waiting at home, hoping luck just happens along, go out and find it, then bring it back home where it belongs. Gratitude puts you in the right frame of mind and makes it easy to recognize the right opportunities. When you incorporate gratitude into your life, it is easy to see all the lucky things that have already been happening to you each and every day. That sense of wonder and natural humility is the true antidote for feeling unlucky. You won’t always succeed when you take risks, but remember, every chance taken is a new opportunity to learn and will make every forward step simpler than the one before. And remember, without risk there is no reward. Sure, only betting on a sure thing might mean you’ll never lose. But how often will you win? We DO make our own luck. Start living like you mean it, and you’ll be lucky, too. Sean Platt is an author of books about life, professional ghostwriter, and awesome dad. Life’s better when you follow him on Twitter.